This year two awards were handed out during the Animated in Poland pitch. 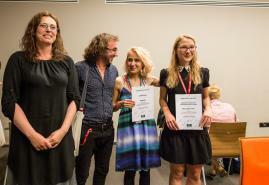 The Special Mention from the Audiovisual Technology Center was given to "Red Light Train" directed by Alicja Kot, and the Sound Mind Studio Award to project "The Land of Whim" directed by Betina Bożek. Both films are being produced by the Animated Film Studio at the Academy of Fine Arts in Krakow. Red Light Train" is a story of a young stewardess working in a luxurious long-distance train to Paris. The passengers are couples in love travelling to the capital of love. Involuntarily she becomes a witness of their passion. At the same time she starts to more severely experience her own loneliness. She wants to love and be loved. As she is not able to satisfy her own need for love, she obsessively watches the travelling lovers locked in passionate embraces. The project is being made in the cartoon and 2D computer graphics technique and it is supposed to be finished by the end of September 2018. "Kaprysia" is a name of the planet, invented by Betina Bożek, which is the film protagonist. The animation is a picture of a land ruled by caprice. Everything that exists on Kaprysia is dubious, chaotic, changeable in form and properties. The shape of the planet is constantly shifting depending on laws and whims that no one is aware of. Despite of the apparent mess that overtook the planet, it is a happy place - dominated by bright and clear colours. "Kaprysia" is a cartoon project and just like "Red Light Train" the end of its production is planned for September 2018. KFF Industry partner responsible for Special Mention - Audiovisual Technology Center (CeTA) - is a special space where technology, culture and art combine, overlap and complement each other. The synergy of these elements and genius loci of the place foster creative authors, whose original ideas have here a chance to spring to life. CeTA is a complex place that allows for every stage of the professional film and television production to be completed. Here the support is given to both the experienced and beginning filmmakers, who additionally can benefit from numerous workshops. The other award founder and KFF Industry partner is Sound Mind - a sound postproduction studio founded by Michał Fojcik M.P.S.E. , sound designer with more than ten years of experience. Michał Fojcik is a member of American Motion Picture Sound Editors society and Polish and European Film Academies. He is responsible for the sound in over 60 feature, animated and documentary films including The Art of Love: The Story of Michalina Wislocka, Gods, The Red Spider, 21 x New York, Loving Vincent, Ziegenort, To Thy Heart, Summer 2014, XOXO Hugs and Kisses. He also worked for the international productions Arbitrage (USA), Bhaag Milkha Bhaag (India), Balcanic I. Caine (Romania). In 2015 he was nominated for the Polish Film Academy award Orły in the Best Sound category for the film Gods. He also worked on the sound for numerous ads and produced the sound for radio, television and multimedia as well as various museum exhibitions. Animated in Poland pitch was organised this year for the sixth time. The first edition took place in May 2013 during the 53rd Krakow Film Festival in cooperation with the Shortcut magazine. 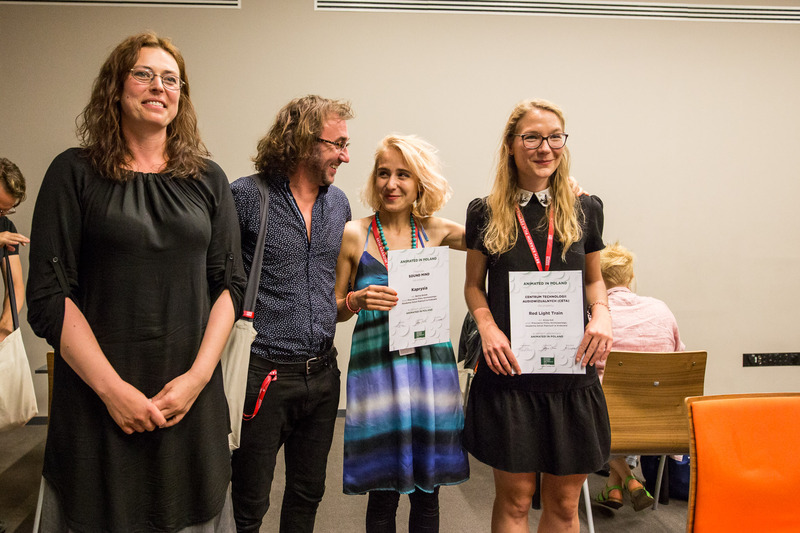 Among the films presented during the last year's edition were "Eatself" by Edyta Adamczak, invited to the competition of the festival in Guanajuato, and "Tango of Longing" by Marta Szymańska, which will premiere at the festival in Annecy.